Serena Williams will face Germany's Angelique Kerber on Saturday in a repeat of the 2016 Wimbledon final. The American former world number one overpowered Germany's Julia Gorges 6-2 6-4 on Thursday afternoon, earning her shot at an eighth SW19 singles title as she did. Likewise, Kerber came through in straight sets against Latvia's Jelena Ostapenko 6-3 6-3. 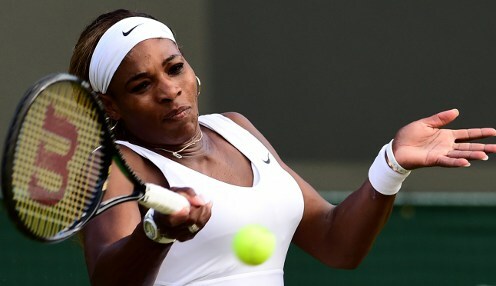 Williams can secure a record-equalling 24th Grand Slam title and her first since giving birth in September last year. This is not inevitable for me. Gorges had spent more time on court during the tournament than any of the other three semi-finalists and she was never able to threaten Williams, with their Centre Court clash complete in 70 minutes. "It's crazy. I don't even know how to feel because I literally didn't think I'd do this well in my fourth tournament back," said Williams. "I don't have anything to lose and I feel I can play so free. That's what I'm doing. Two-time Grand Slam champion Kerber reached her second Wimbledon final after having few problems taking care of an error-prone opponent. "It is such a great feeling to be back in the final and to play on Centre Court is always a great experience," said Kerber. "I'm happy and proud to be in another Grand Slam final, I will just try to play like I did and just focus on my game." Kerber is 13/8 to win Saturday's final, with Williams 1/2 to prevail. The American is 6/5 to win in straight sets.